A review commissioned by the government into the potential for tidal lagoon energy in the UK is to be published. If the independent review, conducted by former energy minister Charles Hendry, backs the technology, it could provide a boost to a "world first" project to harness the power of the tides in the Severn Estuary. The assessment, commissioned last year amid negotiations on the project, has looked into whether the lagoons represent value for money and how they could contribute to the UK's energy mix in the most effective way. Renewable energy firm Tidal Lagoon Power wants to secure subsidies for a £1.3 billion scheme to build the world's first lagoon power plant in Swansea Bay. While the Government has expressed backing for lagoons, former prime minister David Cameron said his enthusiasm had been "reduced" by the costs, with much higher subsidies than nuclear or offshore wind mooted at one stage. Tidal Lagoon Power now says the Swansea Bay scheme would require only the rate of bill-payer support currently offered to nuclear, and because the project was small it would cost households as little as 20p to 30p on average. It would also generate thousands of jobs and boost the Welsh economy, while supplying predictable, clean electricity for 155,000 homes. 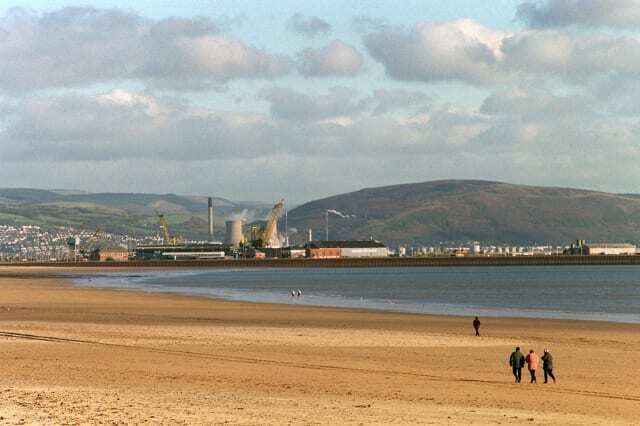 The company claims the Swansea Bay lagoon would be a proof-of-concept project opening the way for a series of lagoons around the coast, costing less due to economies of scale and meeting 8% of the country's power needs for 120 years. But conservation groups have raised concerns about going ahead with a series of lagoons before the impacts of the Swansea scheme are assessed. Mr Hendry said lagoons offer a "completely predictable" source of power. He told BBC Radio 4's Today programme: "We know it absolutely works. One of the great advantages is it is completely predictable for all time to come. "We know exactly when the spring tides and neap tides are going to be every single day for the rest of time and so, in terms of meeting security of supply, lagoons can play an important role." Mr Hendry said he had assessed how expensive the project was by spreading the cost of the subsidies over the lifetime of the project. "If you look at it over the cost of that 120 years then you get a very much lower figure than almost any other source of power generation." What to do? Stretch your legs with a night hike through the rainforest after dark or community tours where you mix with the locals. Interested in the local culture? Travellers can also learn about coffee, cocoa and banana production too. Where to stay? The Rara Avis Rainforest Lodge and La Leona Eco Lodge are passionate about conservation. What to do? Visit the Charles Darwin Research Station – the national park is home to many native species’ including the giant tortoises which have made the islands famous. Elsewhere there are lagoons, forests and beaches to explore. Where to stay? Stay offshore with Ecoventura. They rent out yachts, so you can admire the local wildlife from a safe distance. What to do? The rainforest offers a number of eco-friendly activities. Explore the area by river boat, meet the wildlife on a jungle hike or meet the various tribes in the area. Don't miss the spectacular Kiulu Valley, also known as the ‘valley of the mist’. Where to stay? Borneo Rainforest Lodge in the heart of the rainforest or the Tabin Wildlife Reserve, a tree house among the monkeys. What to do? Take on the Inca Trail and you'll have the chance to marvel at the flawless architecture of Machu Picchu. If you'lre looking for something a little more high octane, how about river rafting through the Manu jungle! Where to stay? Get away from city life at the Tambopata Ecolodge or have the best of both worlds at the Inkaterra Machu Picchu Pueblo Hotel. What to do? In Patagonia you can get up close and personal with everything from seals and penguins to dolphins and whales. Or why not take in the view with horse rides, river hikes and walks up the Andes mountains. The Torres del Paine National Park is a UNESCO world biosphere reserve known as one of the most unspoiled places on earth, explore its beauty with one of the many multi-day treks on offer. Where to stay? EcoCamp Patagonia blends in with the natural habitat and is the world's first geodesic hotel. What to do? There's really something for every type of traveller in Bhutan. You can trek through the Himalayan mountains, enjoy local cuisine or visit any of the numerous villages you come across. The Bhutanese are known for being friendly people, so why not let them teach you about their fascinating culture. Where to stay? Take advantage of the community lifestyle and openness of the people and stay in a local villager's home. What to do? The country's capital, Ljubljana, was named European Green Capital for 2016 and the country has plenty of meadows, forests, mountains and lakes on offer for outdoor enthusiasts. Plenty of local farms also offer work shops and classes in local traditions. Where to stay? Snovik Spa is the highest lying spa in Slovenia and perfect to getaway from the hustle and bustle. There are also a number of ecological tourist farms which are another great option. What to do? Botswana and Zambia offer plenty of safari tours that are designed to help protect wildlife and give profits to local communities. Not only will you see fascinating wildlife but you'll have the chance to experience the communities' culture and food. Where to stay? Be aware a lot of safari camps aren't always as green as they claim. The Delta Camp in Botswana however, comes highly recommended. What to do? If you're visiting New Zealand get your walking boots on and discover the endless volcanic plateaus with stunning views. Or take to the high seas and watch the native wildlife, including whales, dolphins and seals. Where to stay? The Hairy Hobbit Eco Cottage is nestled in 70 acres of land with spectacular views over the Tasman Bay. What to do? Vietnam is home to stunning landscapes including idyllic beaches, national parks, coral reef ecosystems and Tam Giang-Cau Hai Lagoon which is one of the biggest in the world. Or why not bask in the natural beauty of the country with a kayaking session in Ha Long Bay. Where to stay? The Topas Ecolodge sits on a hilltop deep in the mountains of the Hoang Lien National Park. The bungalow offer stunning views over the peaks and valleys and are the perfect base for hiking and biking enthusiasts.